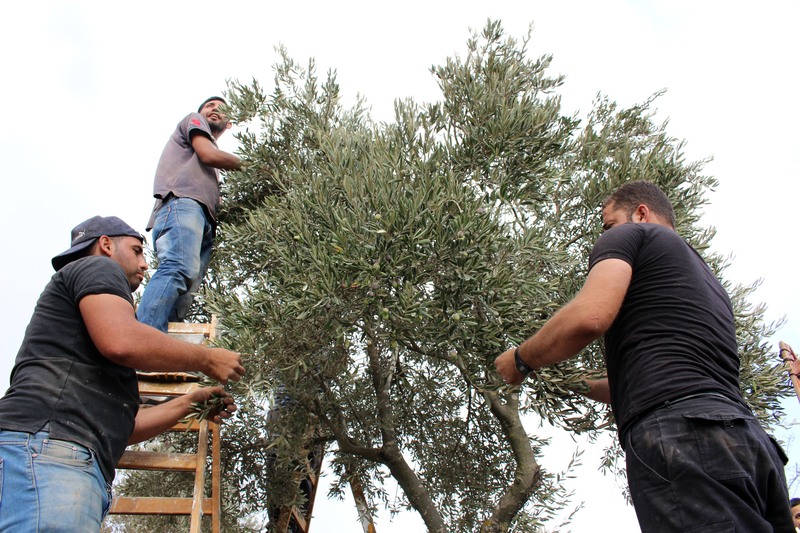 Villagers from Husan harvest their olives located next to a fenced road leading to a settlement. Photo EAPPI/J. Kaprio.